The Kershaw Double Cross knife model 4380 has classic style combined with the latest technology. 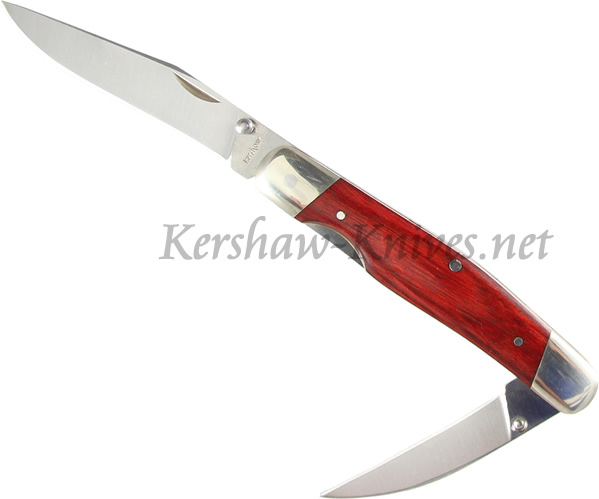 The classic part of the equation boasts a hardwood handle, polished bolsters, and a traditional double-bladed pocket knife. The technology side of the equation brings thumbstuds that offer one-handed opening, and a single liner lock that controls the locking and releasing of both blades. If you have ever wanted to embrace technology while holding on to the past, the Kershaw Double Cross will allow you to do just that.